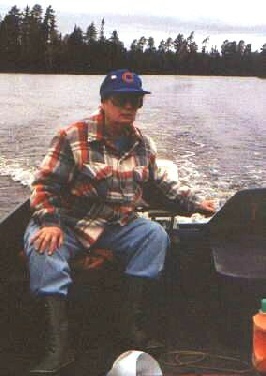 For many years we visited Lake Herridge Lodge in Temagami, ON. Until the camp was sold to new owners on or about 2007 we might visit it twice a year. After that we decided we just wanted to try something different. Following are some of the miscellaneous photos we took of some of our trips there. They are in somewhat random order but most were taken in 2004. Temagami is one of the most beautiful areas in North America in the Fall when all the Maples come alive. 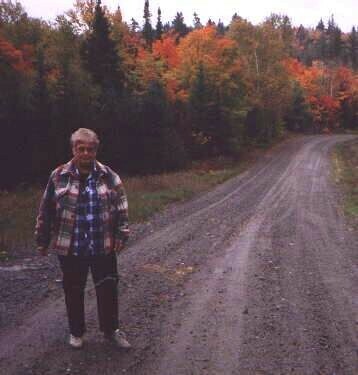 Here is Dottie along a logging road we drove along to witness the spectacular color. To get to the farthest lake from camp, Lake Wasack, it was necessary to make several portages and travel a nice little creek from Driftwood into Wasack. 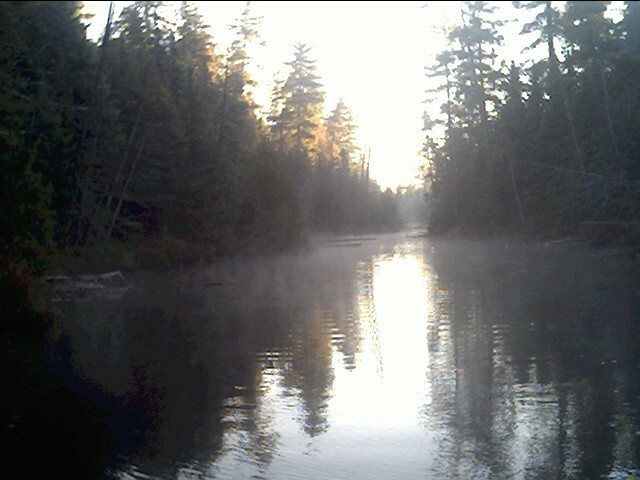 Here is the opening of what we called “Driftwood River”. At times we witnessed Moose bathing in stream. 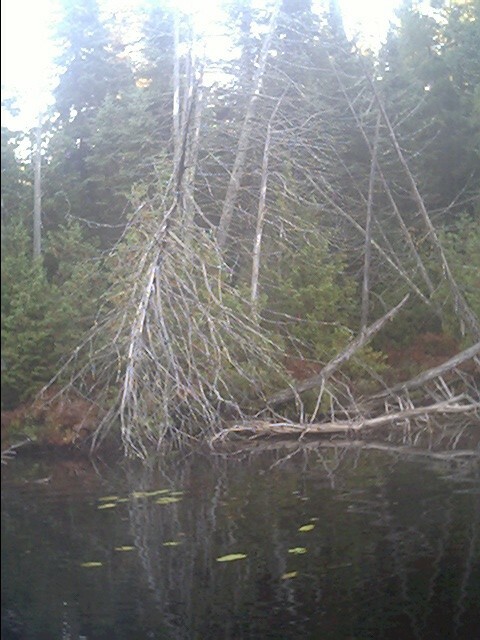 Part of the beauty of the “Driftwood River” is that dead trees lay where they fell to preserve the wilderness effect. 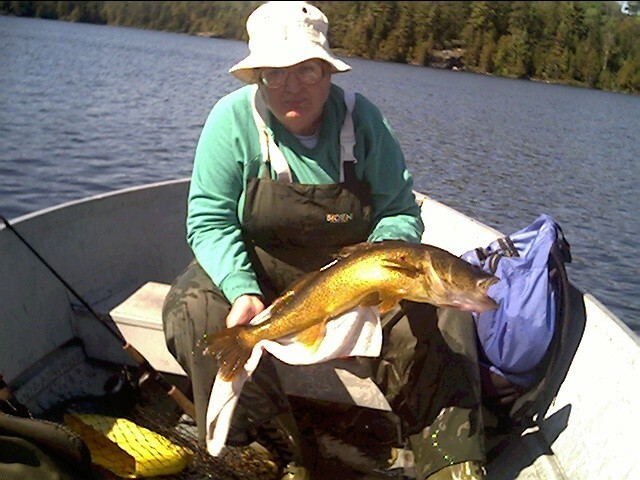 One of the nicest Walleyes we ever caught was caught and released by Dottie. It was 29” caught on Denedas Lake. 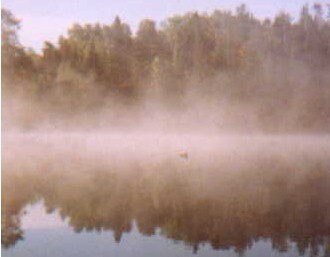 A common sight on many occasions when we ventured out in the early mornings in the Fall was the mist rising. 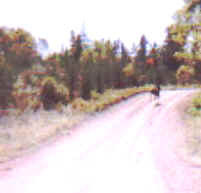 A rather poor photo of a 3 year old bull Moose we happened upon while driving a logging road. 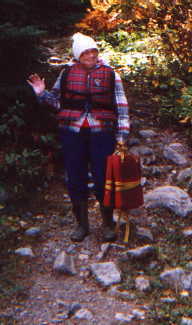 Here we see Dottie coming off of a portage trail.